Want a tri-fold of our We're the People: Summer Reading 2015 for your library? Turning your calendar to July? Looking for books to recommend to kids and teens? Ones that portray all of us who are The People of the U.S.? Given yesterday's Supreme Court decision, maybe you're looking for a book in which the author presents two dads, not as the main theme, but as a natural part of life? Take a look at When Reason Breaks by Cindy L. Rodriguez. It is on our list! Download a tri-fold pdf of the Summer Reading 2015 list that I worked on with Edith Campbell, Sarah Park Dahlen, Lyn Miller-Lachmann, Sujei Lugo, Nathalie Mvondo, and Ebony Elizabeth Thomas. Some background about the list is in my post on May 25, 2015. See Lyn Miller-Lachmann's annotated list, too! Credit for the trifold goes to Sujei Lugo. When I get a book written by a Native person, my heart soars with delight. 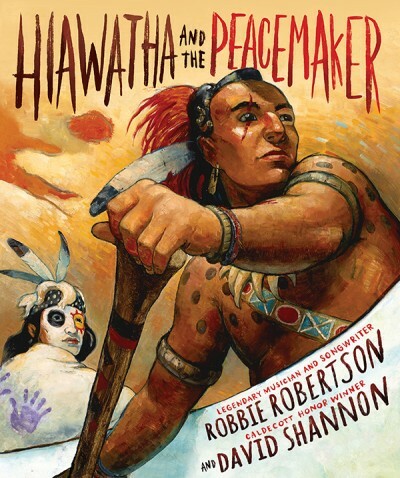 In the mail yesterday, I got a copy of Robbie Robertson's Hiawatha and the Peacemaker, published in 2015 by Abrams. Some years later in school, we were studying Henry Wadsworth Longfellow's poem about Hiawatha. 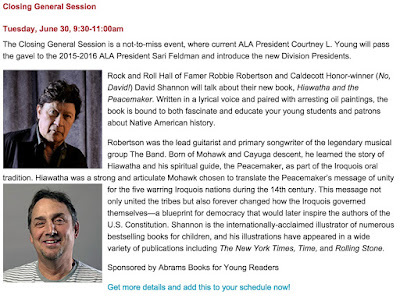 I think I was the only one in the class who knew that Longfellow got Hiawatha mixed up with another Indian. 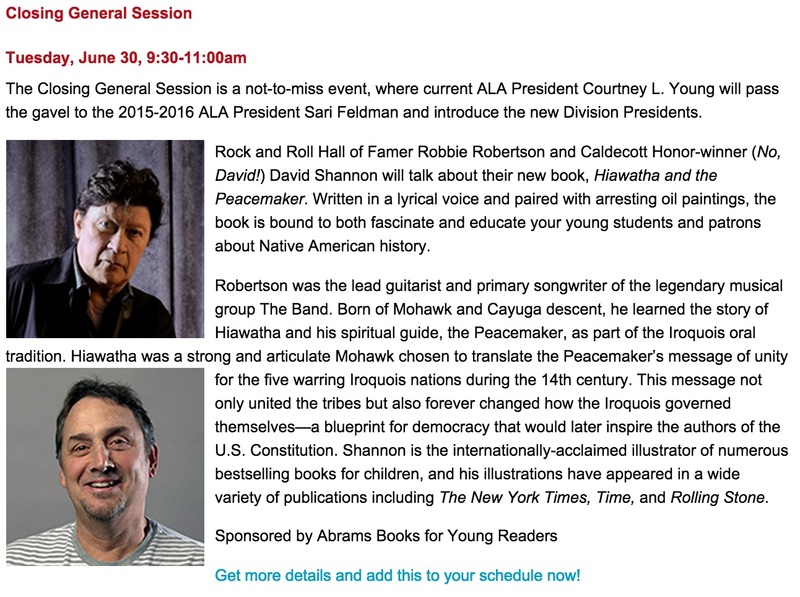 I knew his poem was not about the real Hiawatha, whom I had learned about years ago, that day in the longhouse. I didn't say anything. I kept the truth to myself.. till now. Robertson has done us all a huge service. Teachers and librarians everywhere can ditch all those books with "gitchee gumee" in them. With Hiawatha and the Peacemaker, young people can--as Robertson said--learn about the real Hiawatha. And, given that Robertson includes the fact that Peacemaker had a speech impediment, I think people within the special needs community will find Robertson's book an invaluable addition to their shelves. 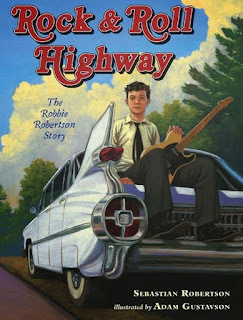 Before I sign off on this post (I'll be back with a more in-depth look at the book later), do make sure you get a copy of Sebastian Robertson's biography of his dad: Rock and Roll Highway: The Robbie Robertson Story! It is terrific. A Native Response to Sophie Gilbert's Article "In Defense of Pocahontas"
Yesterday (June 23, 2015), I read Sophie Gilbert's article in The Atlantic, "In Defense of Pocahontas: Disney's Most Radical Heroine." The main problem with Pocahontas--as expressed by several Native American groups, including the Powhatan Nation, which traces its origins back to Pocahontas herself--is that over time, she's come to embody the trope of the "Good Indian," or one who offers her own life to help save a white settler. Our efforts to assist Disney with cultural and historical accuracy were rejected. Our efforts urging him to reconsider his misguided mission were spurred. She's done the same thing Disney did. The thrust of her article is "in defense" of the film. To her, it doesn't matter what the Powhatan Nation said. She doesn't say who the other "Native American groups" she referenced are, or what they said about the film. But again, whatever they said doesn't matter, because she sees fit to write "in defense" of Disney. It is unfortunate that this sad story, which Euro-Americans should find embarrassing, Disney makes "entertainment" and perpetuates a dishonest and self-serving myth at the expense of the Powhatan Nation. Gilbert is doing the same thing Disney did. She is promoting this dishonest and self-serving myth at the expense of the Powhatan Nation and all the people who are led astray by the narrative of that film. By focusing on "female agency" and an "environmentalist message," Gilbert is throwing millions of people under the bus. She's not alone in doing that, though. It happens a lot in literature, with people defending books like Touching Spirit Bear. It has inaccuracies, too, but people think its message about bullying is more important that those inaccuracies. Or, Brother Eagle Sister Sky, which has problems, too, but people think its environmentalist message is more important than its inaccuracies. Something else is always more important than getting the facts right when Native people are being misrepresented. That's where Gilbert stands. She's getting called out by people for the article. Take a look at her Twitter account: Sophie Gilbert. One thing she was criticized for was her use of 'tundra' to describe the setting for The Lion King. In response, she changed it to 'savanna' and said "sorry for the embarrassing lack of geographical knowledge." Based on her response to others who criticized her defense of the movie, I doubt that we're going to see a tweet from her that says "sorry for the embarrassing lack of respect for Native voices." Gilbert objected to one person's tweet that suggested she was speaking from within a white privilege space. She called that a personal attack. What, I wonder, shall we call her dismissal of Native voices? The Pocahontas Paradox: A Cautionary Tale for Educators, by Cornel Pewewardy. Who Was Pocahontas: Frightened Child or Exotic Sexual Fantasy?, by Steve Russell. Update, 5:14, 6/24/2015: The complete name of the Powhatan Nation is "Powhatan Renape Nation." It is recognized by the state of New Jersey. This is my second post about Martina Boone's book. My first one is about Boone's use of Gone With the Wind in her YA novel. In April of 2015, I learned about Martina Boone's Compulsion: Heirs of Watson Island. 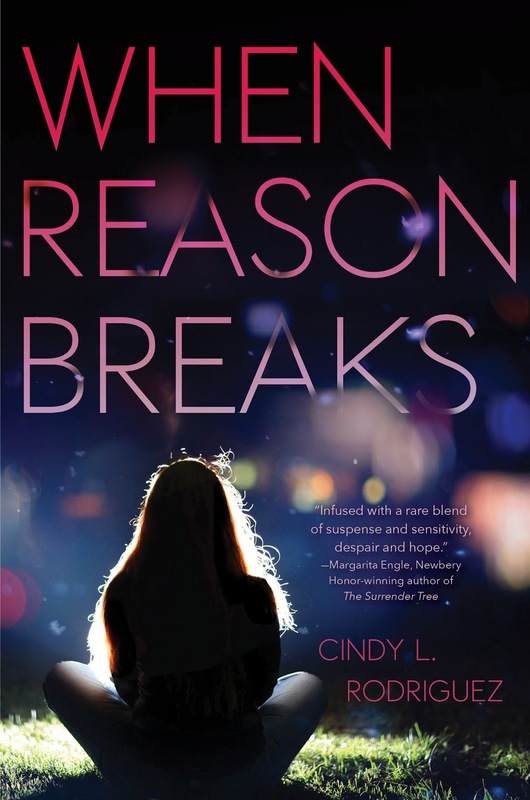 Published by Simon Pulse (which is part of Simon and Schuster) in 2014, the protagonist is a teenage girl named Barrie who moves to a plantation in South Carolina to live with her aunt Pru. The story is set in the present day, but the past is very much a part of Compulsion. The island where the plantation is located is haunted and the house is falling apart. Having read it, I do not recommend Compulsion. A cloak of black feathers covered his back and shoulders, and a matching feathered headdress melded into his long, dark hair. He turned suddenly and looked at Barrie--straight into her--with eyes that were only lighter spots in a face painted with a war mask of black and red. She blinks and he's gone, but "her heart was a drumbeat in her throat, war drums pounding, pounding a retreat" (p. 62). "Yes, haunted. Thomas Watson's island was inhabited by the Fire Carrier, the ghost of a Cherokee witch who had cleared his tribal lands of malicious spirits, yunwi, and pushed them down the Santisto until they'd come to the last bit of land surrounded by water on every side. The Fire Carrier bound the yunwi there, and kept them from escaping, with fire and magic and running water." "to get one of his slaves to trap the Fire Carrier and force it to make the yunwi behave." "He trapped the Fire Carrier at midnight when the spirit came to the river to perform his magic, and he held the Fire Carrier until the witch agreed to control the yunwi and make them leave Thomas Watson alone." Then, they made the yunwi give Watson back everything they'd taken from him. And then they trapped the Fire Carrier again and demanded that he help Beaufort win a woman's heart. That woman was already in love with Colesworth, but thanks to the Fire Carrier, Beaufort seemed to know whatever the woman wanted. Eventually, he won her over and they were to be married, but Colesworth had the voodoo priest capture the Fire Carrier one more time, hoping to get the woman back. But the Fire Carrier was tired of being used. He overwhelmed the voodoo priest and put a curse and gifts on the three men. Future Colesworth generations would be poorer and unhappier than the Watsons. That's the curse. The gifts? The Watson's would always find what they'd lost, and the Beauforts would always know how to give others what they wanted. Barrie is a Watson. Cassie is a Colesworth. Because of the curse, she's poor and wants Barrie to use her gift of finding things to help her find the Colesworth valuables, buried by an ancestor before the Yankees burned Colesworth Place down. Barrie isn't sure she wants to help her. He wears that red and black mask again. He stares at her again and then walks away. This time, she sees shadows, too, and realizes they are the yunwi. And, she smells sage burning. She thinks he wants something from her. Later when she is talking with Pru, Barrie learns that her aunt feeds the yunwi at night and that they take care of the garden. When they're outside, Barrie feels a tug from the woods. Pru tells her not to go there. On page 273 she goes outside again at midnight. This time she's in socks. As she runs about, she gets cuts from gravel and shells on the path. She slips and cuts her palm, too. She washes the blood of her her palms in a water fountain. It seems her blood runs in ribbons through the water, and that she can see human figures in the shadows. She sees the Fire Carrier again. He points to something behind her. She looks at the top of the fountain and sees a spirit. It is a woman whose torso and legs are a column of water. Barrie asks her what she wants, and she says "You have given blood." and then "We accept the binding." As she walks back to the house she realizes the yunwi are swarming around her bloody footprints. She pulls off her socks and throws them to the yunwi, telling them to "eat up." It occurs to her that she can use those bloody socks to barter. She grabs them back up and tells the yunwi that they'll have to give back things they took from her. Turning back to the house she finds her missing things and missing screws, too, that they'd taken when making mischief in the house. She throws the socks back down to the yunwi and tells them not to break anything else, or take anything else, either, from her or anyone else. Through her blood, Barrie has power over the yunwi. From there, the yunwi are around her a lot but don't figure much in the story. They more or less accompany her around. "I've heard of this tree." Eight followed her toward it. "The natives around here used to call it the Scalping Tree and hang the scalps of their enemies on it." The tatters of Spanish moss did look eerily like scalps. Barrie shivered despite the still-warm air. "Why?" "I don't know. I don't even know which tribe it could have been. None of them, probably. The Fire Carrier was Cherokee, but since he brought the yunwi here from somewhere else, he clearly wasn't local." Barrie finds the spot that is pulling at her, digs, and they find a metal box that has keys that gives them access to a room, and a staircase to a tunnel. There's a pull from there, too. Barrie and Eight (and the yunwi) go down the stairs, unlock another door and find that lost treasure Cassie wanted her to find. That's not the source of the pull, though, so they go a bit further. The yunwi find the source first: two skeletons. Barrie and Eight hear something behind them and see that Cassie has followed them. She grabs the bag of treasure and takes off, locking them in that tunnel. Barrie asks the yunwi to get them out but they don't go near the door. Why? Because the door is made of iron, and iron hurts them. Barrie and Eight decide to head on through the tunnel. The yunwi go with them. Eight says it may have been an escape route "during the Yamassee uprising" or "other Indian raids before that." When they come to a fork, they choose one and follow it. Barrie realizes the yunwi have stopped at the fork. They watch, forlornly. "[S]he was leaving them locked up here alone in the dark" (p. 398). She tells them she'll come back and let them out. That tunnel is to an iron door they can't get through. They try the other one and eventually find one that doesn't have the magical protection (things don't rot) that the others do. She gets out but runs into Ernesto (he's got tattoos all over, speaks Spanish) and Wyatt (Cassie's dad) who, it turns out are drug runners. In the rushes before her, the Fire Carrier stood close enough that the war paint on his face and chest shone slick with grease. Veins stood out on his arms, and every lean muscle of his chest and stomach seemed defined and ready to spring into action. But apart from the feathers on his clock and headdress stirring in the night air, he was motionless. He watched her. Barrie thinks about how the Fire Carrier saved her life. No mention of the yunwi. The end. Of this book, that is. Compulsion is the first of a trilogy. When we first meet the "Fire Carrier" of this story, Boone gives us things commonly (and stereotypically) associated with Indians: feathers, painted face, drums. This land was haunted before Barrie's ancestor was given this land. I may have missed it, but I don't recall reading why that land was haunted. We know the Fire Carrier is there now, and that he's ghost-like (remember Barrie can see through him), so he's definitely haunting that land now. He, we read, is a Cherokee witch. If you look up the yunwi, you'll likely find references to Cherokee Little People. If you go to the Cherokee Nation's website, you'll find information about them. Some of what Boone tells us about the yunwi aligns with information at the website, but Boone's yunwi are cannibals. Remember? They swarmed over her bloody footprints. That doesn't fit with what I read on the Cherokee Nation site, but it does fit with some false but common ideas of Native peoples as being cannibals. It is odd, too, that Boone's yunwi can't go near iron. I don't see that on the Cherokee site, either. From what I understand, the Little People are independent, acting on their own, significant to Cherokee ways of being in, and understanding, the world. But Boone's yunwi can be controlled by... a white girl. Echoes of Indian in the Cupboard, right?! Then there's that scalping tree... Setting aside the outlandish idea of a "scalping tree" let's look at what Eight said about that tree. He assumes it can't be associated with the Cherokees because they weren't "local" to that area. Maybe... but maybe not. The South Carolina website tells us Cherokees were in South Carolina at the time it was established as one of the 13 colonies. In all honesty, I find the Native content of Compulsion to be inaccurate and confusing. And troubling, too. As I read, I came across some other troubling content. Cassie is in a play. The play? Gone With the Wind. I came upon that part the day after the murders in the Emanuel AME Church in Charleston. It stopped me cold. I wrote up my thoughts, then, right away. Nothing I read as I continued alleviated those concerns. I'm also unsettled by Ernesto. It seems to me that Boone has, unintentionally, wronged three distinct groups of people and readers in the US: American Indians, African Americans, and Latinos. What will she do in the next two books of this trilogy? In an interview, she indicates her character will grow through the series, but I've given that idea some thought and find it wanting. Need I say that I do not recommend Compulsion?